Halo Top gets into the swing of spring with the release of new pints of Blueberry Crumble low-calorie ice cream. 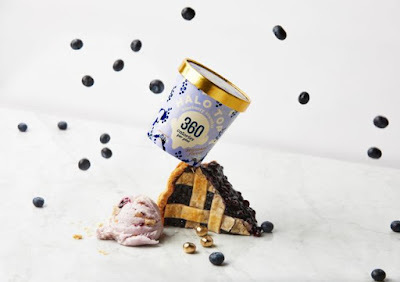 The limited time, seasonal flavor features flaky pie crust pieces and blueberry swirls and boasts 360 calories and 20 grams of protein per pint. Halo Top Blueberry Crumble arrives nationwide starting in March 2018 and will be available, while supplies last, through the end of May. Photo via Halo Top Creamery.